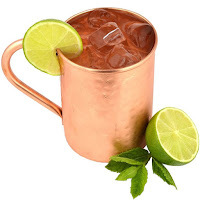 A Moscow Mule is an adult beverage made with a high-quality vodka, a spicy ginger beer, and lime juice, garnished with a slice or wedge of lime. It is usually served in a copper mug. The cocktail became popular during the vodka craze in the United States during the 1950s. It is regaining popularity today! 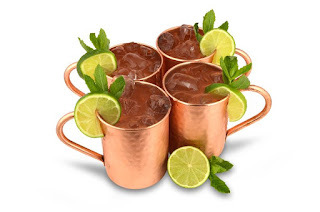 Just like having the correct wine glass for different variations of wine, this pure copper mug is the perfect presentation for Mules, Beer And Other Ice Cold Drinks! 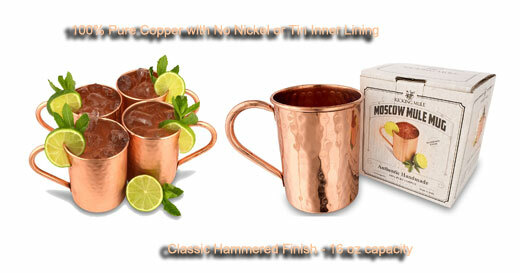 This mug offers an extra-cool sensation, due to the copper quickly taking on the icy temperature of the cocktail. It also enhances the individual flavors of the ginger beer, vodka, and lime. Be sure to hand wash your copper mug with warm water and liquid dish soap. Do not soak in hot water and do not use in the microwave or dishwasher. Use for cold drinks only. Do not use for coffee, tea or other hot beverages. Comes with a Lifetime Warranty! It is packaged perfectly for gift-giving. ***SALE - 50% OFF OF MARKED PRICE***AUTHENTIC MOSCOW MULE MUG - HANDCRAFTED BY ARTISANS - Each mug is individually handmade and expertly crafted by an Indian team of master coppersmiths. You will never get two exactly the same! BAR / RESTAURANT QUALITY PREMIUM STYLE MUGS - High quality with a unique hammered style, The Kicking Mule mugs are made from 100% heavy gauge solid copper, 16 ounce, unlined (no nickel or tin) and are coated with a food safe lacquer to help preserve beauty and luster. You will not find finer barware. ICE COLD DRINKS WITH A KICK! 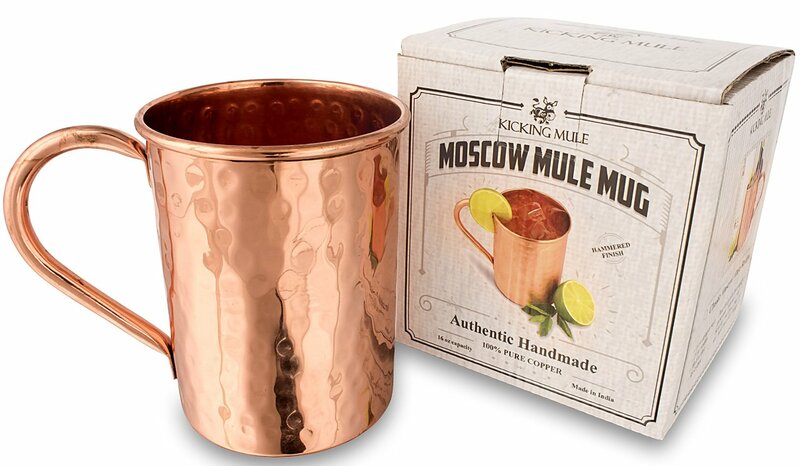 - Watch your mule mug frost up when you add ice, vodka, and ginger beer - heavenly! Try it with water, iced tea, whisky and any other drink you take with ice. Maybe try it with another cocktail such as Mint Julep or Kentucky Mule. GREAT FOR ENTERTAINING AND GIFT GIVING - You won't want to put them in a cupboard because they look so cool. The mugs are a conversation piece at home parties and makes perfect novelty drinkware to give at a birthday, wedding or at Christmas. They come with a gift box and care instructions. GUARANTEED QUALITY - We offer a LIFETIME WARRANTY as we are not happy unless every customer is 100% satisfied. Also to get the most out of your stunning mug we have included a free Recipe eBook and Bartenders guide (eBook) to get you started. 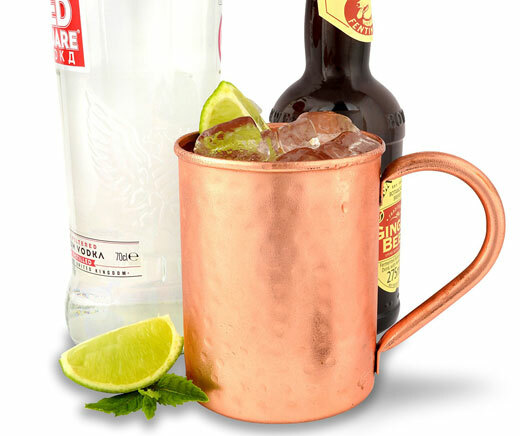 Fill your Mule Mug with ice, add the cider and ginger beer. Stir and garnish with the apple slices and cinnamon sticks. 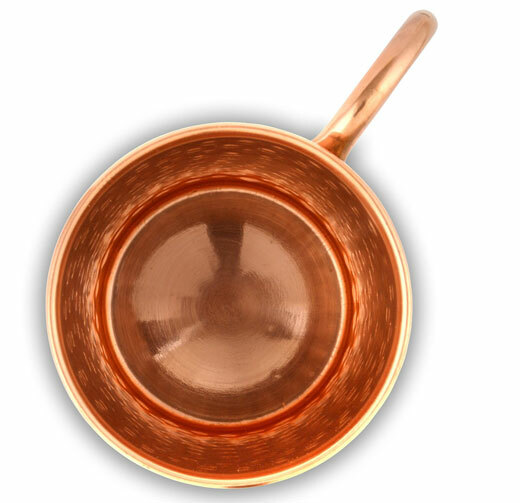 Fill your Copper Mug with crushed ice, add the Kentucky bourbon. Squeeze in the lime and add the peel. Top with ginger beer and stir well. Lasty, a cocktail without alcohol! Fill your mug 3/4 full with crushed ice, add the club soda. Squeeze in the lime. Top with ginger beer and stir together. Garnish with a lime wedge.